Nature centre at Olango Island Wetlands. Visit Olango island to experience its nature and birdlife. The island is easily reached by ferry from Mactan Island. Olango Island has an international wildlife sanctuary and nature centre in an important wetlands area, being a main stopping-off place for migratory birds flying between Northern Asia and Australia and New Zealand. Malapascua Island is just off the north tip of Cebu It is possible to walk around the island in just one or two hours. It has a population of around 400 people, whose means of living depends on tourism, fishing, and boat building, but especially Diving. Translated, Malapascua actually means “Bad Christmas”, due to the Spanish who first landed here on a stormy Christmas Day in the 1500′s. Today, Malapascua features beautiful white sandy beaches, green palm trees, and crystal clear waters. Sumilon Island is a 24-hectare coral island off the coast of Oslob, in the south of Cebu. The island hosts the Sumilon Bluewater Island Resort which developed the island into an eco-friendly haven for those who want to get away from the stress of city living. 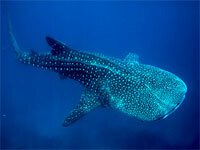 It is the first marine protected area in the Philippines, created in 1974. Cebu is an island in central Philippines which has Cebu City as its capital. 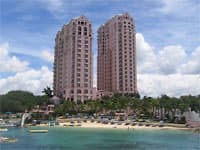 Mactan Island, where the international airport is situated, has a number of beach side resorts and hotels, plus world class diving spots nearby. Enjoy boat trips, watersports, or just relax in the sun. Many of our Tour Suggestions include Cebu. 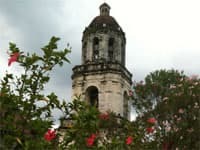 Tours can also start and end in Cebu, if that is your point of entry to the Philippines..
A visit to Cebu presents a pleasant discovery of its rich history, multifaceted culture and captivating people. It provides a glimpse of the country's glorious past, with a number of preserved historic relics standing until today. 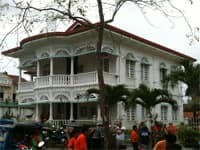 A Cebu city tour, or the popular Countryside tour, will introduce you to historic sites and buildings, as well as fascinating small towns and communites. Apart from its popular heritage sites, Cebu is endowed with a wealth of inviting, natural attractions that engage visitors in various activities. It boasts of white sand beaches, pristine waters and rich marine life fit for diving and snorkeling, as well as verdant mountains, mysterious caves and challenging trails for mountain trekking, and other outdoor sports activities. Cebu is also home to a vast array of products that are at par with the world's best. But more than these, Cebu offers distinct warmth of the people that sets Cebu apart from other tropical destinations. Cebuanos, known for their hospitality, friendliness, industriousness, resilience and deep sense of patriotism, are gracious and friendly hosts. In the most southerly part of Cebu, can be found the small town of Oslob, which is now world-renowned for its Whale Sharks. Guests staying in Mactan or Cebu City will have an early start to travel down to Oslob, where they will don a lifejacket, and then board one of the small boats, ready to travel a short distance offshore to view these magnificent gentle creatures swimming naturally. Snorkelling is also available, and this allows more experienced guests to really experience the Whale Sharks' grace and beauty up close. The Sinulog Festival always falls on the third Sunday of the month of January. The Sinulog Festival is the grandest festival in Cebu. Every year, more than a million celebrate in this religious and traditional gathering. The initial grand parade starts off nine days of honouring Sr. Sto Nino - the patron saint of Cebu. 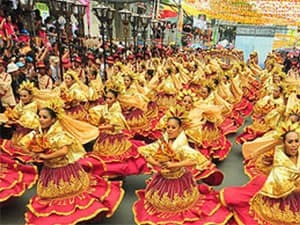 Sinulog is unique in all terms for its beating drums, gongs and trumpets accompanied by the "Ritual Sinulog Dance" which is moving 2 steps forward and one step backwards, which imitates the motion of the Pahina River. The festival showcases colourful costumes, giant paper maché, gigantic floats decorated according to its theme, street partying, firework displays, and various processions. As well as resorts on Mactan Island, Cebu also has a number of Dive Resorts in areas such as Moalboal, and we also offer luxury beach resort accommodation too. See more on our Luxury Resorts Page.